Fly! Fly! Fly like a ... cat! I bet you didn't know that cats can fly. Well, here's the living proof that they can! 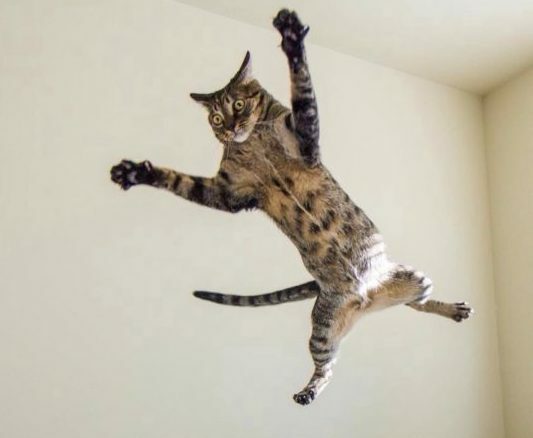 That is one flying ninja cat!